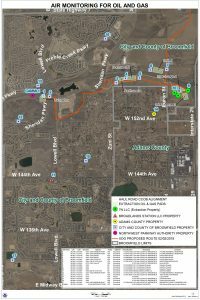 A letter from 301 Broomfield Health and Safety First with suggestions on revisions to two oil and gas regulation amendments was sent to Council on Tuesday morning, Nov. 27. At the beginning of the Nov. 27 Council Meeting, Council Member Castriotta previewed her later motion to postpone the first reading of the two amendments due to the fact that Council had received “good ideas to discuss” and the regulations needed “further study and refinement.” Council later voted unanimously to postpone consideration until their Jan. 15 Study Session, with the earliest possible first reading at the Jan. 22 Council Meeting. There were numerous other oil and gas updates during the Manager’s Report that are summarized below. Also, you can read Council’s Nov. 27 discussion leading up to their direction to Staff to protest the Colorado Oil and Gas Conservation Commission (COGCC) Acme Pad permits here.  – A change to the complaint hearing process amendment so that it does not require references to the operator agreement or use by special review documents. – Changes to the reverse setback notification amendment to give earlier notice to new home buyers, include renters as recipients of notice, and study if a 1320 foot notification from oil and gas development is adequate to protect health and safety. 1) Praise for Brad Gibson’s citizen volunteer participation in statewide review of COGCC financial assurance requirements for operators. Ms. Yellico reported limited recommendations were made by the committee related to orphan wells, but added that Mr. Gibson’s broader financial insurance provisions might be able to go forward in rulemaking next year. 2) Broomfield participated in COGCC forced pooling rulemaking that saw results mostly focused on increasing notice time. They are participating with other allied local governments in school setback rulemaking which will be heard at the COGCC hearing on Dec. 17 & 18. 3) The Air Quality Monitoring Program has 10 sites in testing and hopes to have all 18 operational by mid December. Early results from the Colorado Department of Public Health and Environmental (CDPHE) CAMLL baseline testing show that the area has some of the lowest VOC levels on the Front Range. 4) Regarding the complaints about hydrogen sulfide odors in the Anthem Highland area around Thunder Vista School, Ms. Yellico recapped the procedure that was followed and stated it was a good test for the complaint system. Council Member Shelton asked Ms. Yellico how a root cause could be found and she replied those type of results would not be likely until the full Air Quality Monitoring System is in place. Mayor Ahrens reported that when he worked in oil and gas that they used canaries in cages near tank batteries to detect deadly hydrogen sulfide leaks. 5) Regarding the risk assessment that was not completed before CDP approval, consulting firm DNV-GL conducted a 4 day workshop with Broomfield and Extraction Staff. 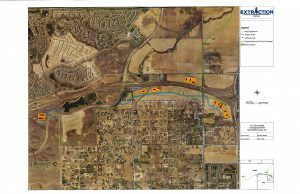 A preliminary report is under review by Broomfield Staff and the final report is expected to be completed by mid December. 6) The Staff is satisfied with Extraction’s plans for the Badger Central Gathering Facility (CGF) in Weld County, just 1.5 miles north of Broomfield at the southwest corner of County Road 15 and County Road 6. After this author raised concerns in emails about Badger’s proximity to Broomfield and pending CDPHE updates on wastewater processing regulations that would not apply to an approved Badger CGF, Broomfield Staff replied that the Operator Agreement only stated the CGF had to be outside of Broomfield and radium is an unavoidable byproduct of oil and gas development regulated by the CDPHE. Council Member Castriotta asked Staff if there was an injection well associated with the Badger CGF and City Manager Ozaki stated that Staff will check. Council Member Castriotta also questioned if Staff had reported to Extraction the “bad truck behavior” of Extraction’s subcontractor in turning incorrectly into the Livingston Pad leading to a clogged intersection at Lowell and Sheridan. Staff reported that Extraction said that they would inform the subcontractor of the need to correct their access routes according to previously defined routes in the CDP.